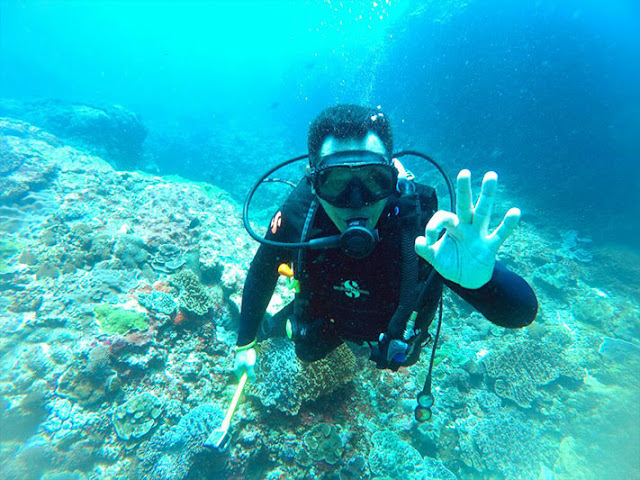 On March 3rd, 2018, Rich Horner, a British diver, posted a video on his Facebook page showing him diving among plastic litters in Nusa Penida, a small island off the coast of Bali. However, Horner explained that when he dived in the same location the next day, he did not find any thrash as he did the day before. 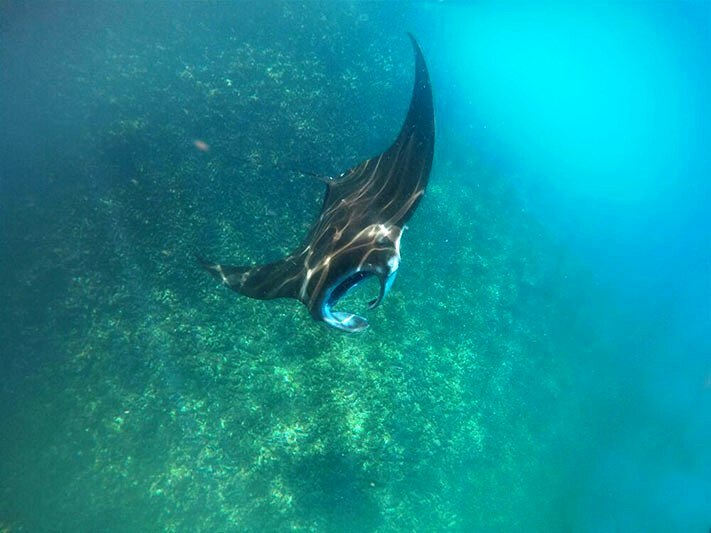 The Indonesia government acknowledged Horner's video and is currently coordinating and planning to overcome the issue, even though the litter also came from other countries, as well as Indonesia. Sea cleanliness has always been on the top priority on the government's environmental program including in Bali. Coordination on this matter are continuously being conducted among all related parties from local authorities all the way to international level. Education and awareness campaign on sustainable waste disposal are also given to all level of society. The Ministry of Environment and Forestry explained that plastic wastes in the sea is the responsibility of the global community. The waste that was found in Bali could come from anywhere, not just within Indonesia. "There are conditions where plenty of wastes periodically appear on the coast of Bali. This is the responsibility of all of us, not just the locals," said the Director of Waste and Toxic Materials at the Ministry of Environment and Forestry, Rosa Vivien Ratnawati. "Indonesia and all other countries must battle these problems together" she added. According to Rosa, Indonesia is committed in a sustainable waste disposal management which can be seen from the law on waste management no.18/2008 and all the following regulations. The government also relentlessly implements the Presidential Regulation No.97/ 2017 on the National Strategy on Waste Management. The Presidential Regulation is aimed at reducing wastes to 30% by 2025. The target was personally stated by President Joko Widodo during the G20 Summit in Germany last year. Regarding waste management on sea, the commitment was implemented in the establishment of the Presidential Regulation on the National Action Plan on Sea Waste Management. Moreover, the massive campaign on waste reducing is currently ongoing in 26 cities under direct coordination of the Coordinating Ministry of Maritime, Luhut Panjaitan. "This joint action between the government and local communities have successfully been conducted in Surabaya, Manado, North Jakarta, Denpasar, and Banjarmasin. We are planning to continue the campaign in Labuan Bajo in late March and early April" said Rosa. Besides the government, a number of private companies have also responded seriously for the matter. To reduce packaging wastes, the Ministry of Environment and Forestry is currently cooperating with Aqua Danone and Tetra Pak in Bali. Both companies have agreed to provide drop-boxes to recycle plastic bottles and cardboards. Coca Cola also donated several waste bins and garbage trucks. "A number of Non-Governmental Organizations (NGO) in Bali have also spread plastic bag reducing campaigns. Helps also came from the international world, among them is from World Bank which cooperated with the Coordinating Ministry of Maritime to conduct a sea plastic waste assessment in 20 locations, including Bali" Rosa explained. Meanwhile, Minister of Tourism Arief Yahya also shared his views regarding the issue. According to the minister, waste and litter problems are the enemy of tourism, especially when it is concerning "foreign litters" polluting Indonesia's sea. The Minister explained that even Horner, who found the litters, said that judging from the packaging and forms, some of the waste did not came from Indonesia. The plastic wastes could have drifted to Indonesia from anywhere thousands of kilometers away because there are no river running to Nusa Penida. According to an oceanography expert from the Research Center of the Ministry of Sea and Fishery, Dr. Widodo Pranowo, the pattern of sea current in Lombok Strait on late February to early March came from the north, which is from the Java Sea and Makassar Strait which are connected to international waters. "So, this is a problem for all of us, not just Bali or Indonesia. Let's fight this war together! How, you may ask? Well, everyone can contribute to the cause by reducing the use of plastics and managing our wastes better" said Minister Arief Yahya.